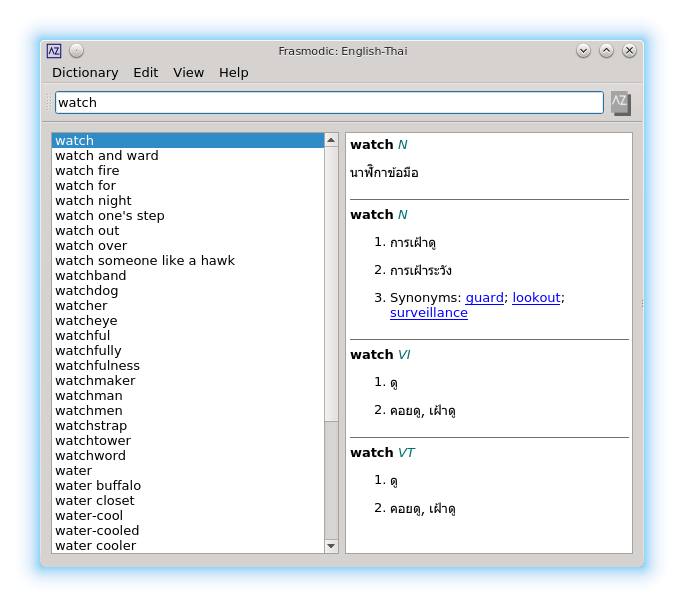 Frasmodic is a dictionary program that supports bedic format dictionary files. Frasmodic is considerably inspired by zbedic but is a new implementation using new code and assets. zbedic was originally written for Qt 2.3 and has not received any development for a long time. Frasmodic is written for Qt 5 in C++11 and will be available for multiple platforms. Check the Dictionaries that I have generated, or the dictionaries at the zbedic site.